Abu Dhabi: A new entity that is being set up by Arab Monetary Fund to facilitate and increase intra-Arab financial and economic transactions as part of Arab Regional Payment System (ARPS) will be based in the UAE, a top official of the Fund said in Abu Dhabi. The Arab Regional Payment System (ARPS) aims at expanding intra-Arab trade and investment activities by providing a new platform that promotes the use of Arab currencies for clearing and settlement of cross-border payments while reducing the cost and duration of remittances and payments between Arab countries. “The project is in the final stages and we are close to finalising the articles of establishment like building the system for smooth transactions. We will soon release the date when the actual transactions will start,” said Dr Abdul Rahman Al Hamidy, director general of Arab Monetary Fund on Wednesday. He was speaking to reporters on the sidelines of a regional conference on the role of cross-border payments in fostering regional integration. Al Hamidy also said the new entity will be established with an initial capital of $100 million (Dh367 million) and will be owned by Arab Monetary Fund. 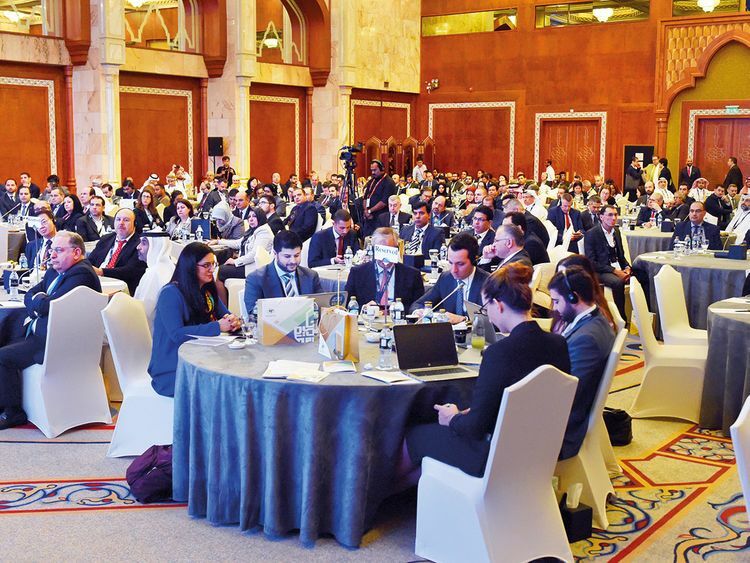 Al Hamidy also said Arab countries are focusing on developing the fintech sector in the region and launched a working group to promote financial technology in the Arab world. Currently, Saudi Arabia and the UAE are working together to implement a joint digital currency named Aber to speed up transactions between the two countries. Abu Dhabi: Economic growth among Arab countries is expected to be 3 per cent this year and 3.5 per cent in 2020, according to the director general of Arab Monetary Fund, Dr Abdul Rahman Al Hamidy. “Economic growth is expected to be better among Arab countries due to aggressive reforms initiated by many countries including in public finance and labour sector. All those reforms are bearing fruit for good economic growth,” he said while speaking to Gulf News in Abu Dhabi.